No matter where you are at in the world, the process of adoption can be seen as a selfless act of love by both sets of parents to create an optimal outcome for the child in need. Regardless of the culture or regulations, adopting a child should be viewed as an amazing experience that helps to enrich the lives of those involved as well as everyone affected in the community. A is 4 Adoption was founded on this idea, helping to simplify the adoption process in order to get more children in need into the care of more loving families. Our goal is to offer a better experience over any adoption agency in California. With years of experience and numerous success stories, we’re confident that our domestic adoption team can develop a personalized plan to help you grow your family. Adopting a baby can be an amazing experience in any part of the world. 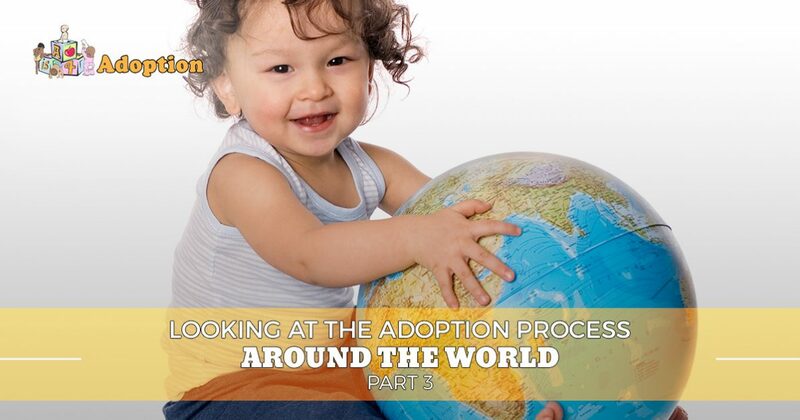 Today, we’ll continue our look into the adoption process in different countries. If you are wanting to learn how to adopt a child, or if you are a mother in need of assistance, feel free to contact us today. The process for adopting a child in Mexico is seen as intensive and oftentimes complicated. While domestic adoption is the preferred option as per the Hague Adoption Convention guidelines, many couples from the United States strive to find a wonderful child. Regardless of who wants to adopt, Mexico’s State System for the Full Development of the Family (DIF) has set forth requirements to ensure an optimal outcome for the child. For one, adults must be at least 25 years old. Married couples can adopt, but they must be married for at least three years prior to adopting. Adoptive parents are expected to be at least 17 years older than the child, but special circumstances may apply. Financial checks will also be done to ensure that the parents have the means to raise a child properly. The adoption process for international measures requires a large commitment. Prospective parents are expected to arrive in Mexico for the adoption, completing paperwork while staying with the child to become acquainted. The DIF governs this process, often telling new parents to prepare to be in the country for two or three months. Each state in Mexico has its own regulations for adoption, creating a complex network of rules that must be followed for a positive outcome. As the most populous country in the world, China paints a complex picture of adoption for many families. While domestic infant adoption is an option for couples looking to expand their family, the general viewpoint is that international families can offer the child more. As such, a strong preference is placed on international adoptions. Prospective parents must be at least 30 years of age to adopt from China. Couples who decide to adopt must be married at least two years, unless one of the spouses has been divorced in the past, in which case the minimum timespan is five years. If you have been divorced two or more times, China will not consider you a candidate for adoption. Another point to mention is that Chinese regulations only allow for straight couples or single women to adopt. Anyone that falls outside of this requirement cannot adopt. The age limit for international adoption is a point of contention for many people in China. Once a child reaches the age of 14, they are no longer eligible to be adopted. Many kids age out of the orphanage they reside in, creating a large population of teenagers without the parental support they deserve. As such, many foster homes and orphanages strive to find a choice for international adoption. No matter where children are born, they deserve the love and attention that every child needs to thrive. Next time, we’ll continue to look into adoption across the world. As an open adoption specialist, A is 4 Adoption is here to help you through every step of the process. Our focus on the comprehensive birth mother help and adoptive parent support help to create an optimal situation for the child to grow in. While every adoption agency in California works to create more loving families, our center aims to cut through the red tape to create an efficient, effective adoption process that will help you make a major change to your life. Contact us today to learn more!